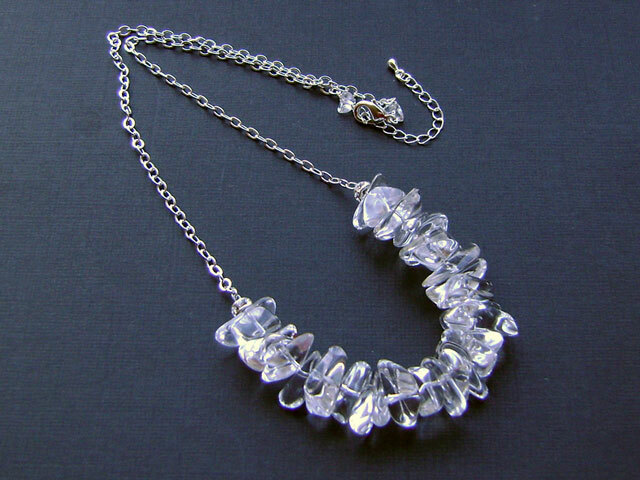 Simply gorgeous high grade rock crystal gemstones. Nature's offerings beautifully displayed in a simple form. 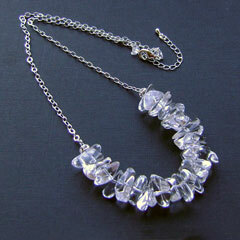 This stunning necklace will work with both day and evening wear. Made to order. Length: 20 inches plus 2" extender. Sterling silver; the exact chain pattern may vary from that shown. Bracelet: contact sales@kyrenedesigns.com about a matching bracelet.